Does variable frequency drive always save energy? 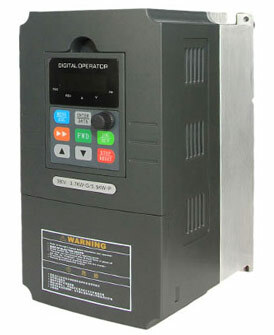 If the variable frequency drive (VFD) has a load of 1000KW, then the low frequency impedance must be fairly low to prevent excessive voltage drop. The problem is what the high frequency impedance looks like and whether there are any local supply resonances in the KHz range. We see a lot of problems on the power supply with common mode, often coming from the output of poorly installed VFDs. Issues due to active front end and actives filters can be so much worse. It is both equipment and power supply related and there are no hard and fast simple tests that I am aware of that will give the answers. Ferro-resonance on some transformer/supply combinations can also be a problem. One installation I was involved in a year or two ago, had ringing at the end of the conduction of the rectifiers in a six pulse input VFD with enough amplitude to cause major interference with a wired signaling system for remote solenoids. This was in a rural town! Perhaps we need to investigate the effect on the waveform from controlled impulses of known amplitude, rise time and length. This may give a clue as to the potential for problems on an AC power supply. You need to be careful where supply resonance is an issue, I have seen supplies ring to voltages beyond 2500 volts on a 400 volt power supply. If you already have an existing installation that is functioning, I would ask the question about why the desire to add VFD. Many VFD suppliers will guarantee impressive energy savings on all motors driving pumps, where the reality is that there will only be energy savings where the pumps are operating under reduced flow conditions. At full flow, they actually waste energy. If you are serious about installing variable frequency drives, I would organize a demo/test installation and test for common mode currents and voltages on the supply and earthing systems. I use a 100MHz scope to look for problems. Our standard installation in rural areas, utilizes a standard 6 pulse input VFD with internal 3% reactors and a broadband passive filter. We are required to comply with a THDD of better than 8% and this always works. I tend to restrict the use of active filters and active front end drives to installations where I know the supply inductance is low and I can be more confident that the potential problems are reduced.